Much bigger than it looks. Wonderful location close to North Park, Passavant Hospital & Ross Park Mall. Public transportation available. Walking distance to McCandless Crossing with Trader Joes and restaurants.House has a nice yard w/ flower & vegetable garden, great for outdoor activities, BBQ and gatherings. Sip a cup of tea/coffee, read your favorite book or have a glass of wine at your inviting front porch, a serene place for outdoor enjoyment. 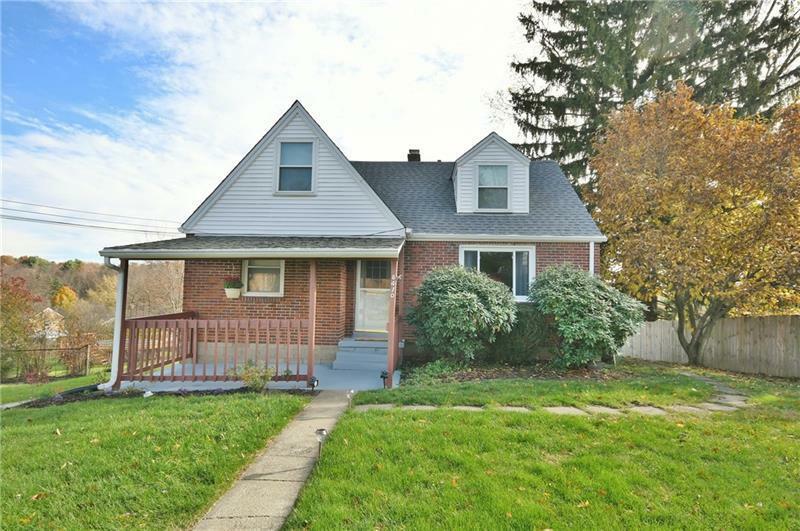 This lovely home offers much charm and character with newer roof (2013-2014), furnace and hot water tank (2017) most newer windows, some newer flooring and freshly paint throughout. Efficient kitchen opens to dinning. Cozy yet spacious. 2nd floor has a den and a large master bedroom with master bath & a separate sitting area, a haven to retreat after a day of work. Finished basement can be used as game or family room. HW under 1st fl carpet. Lots of storage space. Neutral décor, extra parking pad, and move in condition, a place to call home.